The H. J. Heinz company was founded in 1869 by Henry J. Heinz. Early on, the company manufactured its own vinegar to use in making pickles, sauces, and other condiments. Seeing the opportunity, Heinz began bottling the vinegar to sell it to the public. Not only was it sold in bottles, but it was also sold out of oak casks at grocery stores. Store bought vinegar was recognized as a great convenience in those days and Heinz promoted the fact that they could produce a much cleaner product than what someone might make at home. And so the famous brand of vinegar was born. Even today, Heinz makes vinegar using the same recipe it has used for over 140 years! What Is Different About Cleaning Vinegar? Heinz Cleaning Vinegar is made from grain just like their distilled white vinegar. The difference is that the cleaning vinegar has been reduced to 6% acidity instead of the 5% acidity of the standard white vinegar. This may not seem like much of a difference, but understand that this means that it is 20% stronger than the regular vinegar. You may run across vinegar that is 20% acidity or higher. This type of vinegar is used as an organic weed killer and is not recommended for household use. Vinegar with an acidity higher than around 10% can cause burns to the skin and blindness if it gets in the eyes. This is not something you would want in the house, especially around children. Where Can I Buy Heinz Cleaning Vinegar? I picked up my gallon at Walmart. In my store, it was on the same aisle as the regular vinegar. If it is not available in-store, you can now have it shipped free to the store and pick it up when it comes in. To see if your local Walmart has it in stock, go to this product page and click on “Pickup options”. This will open up a drop-down where you can see store availability. There is also a box to enter the zip code if you want search a different area. Please leave a comment if you find it in other stores in your area. What Can I Use Cleaning Vinegar For? This article is just intended as a short introduction to the Heinz product. Therefore, I will not go into detail here about cleaning with vinegar or the hundreds of other uses that exist for this product. I will be posting many recipes that will use this product. I just felt that before I started posting cleaning supply recipes that contain Heinz Cleaning Vinegar, that it would be appropriate to give it a proper introduction. 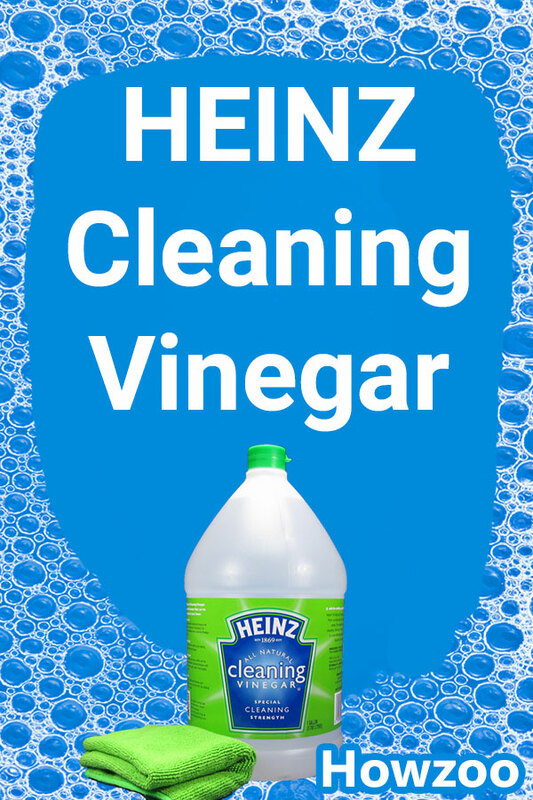 In the meantime visit the Heinz Cleaning Vinegar page for some quick tips. Heinz also has some kitchen cleaning tips here. It is great that Heinz saw the need for this product and made it available to the market. Vinegar is so very versatile and we will explore the many ways that it can be used in the home. Due to this being an extra-strength vinegar, it will be our go-to vinegar product. We can use it full strength if need be or dilute it as necessary. This gives us more flexibility in our recipes. Heinz cleaning vinegar is sold at Publix supermarkets. I purchased the 6% cleaning vinegar HEINZ last year at Walmart but they no longer carry the HEINZ brand ….only the Walmart brand 5%. I am on the West Coast Reno Nevada area. Does anyone know what other store might carry it? Walmart.com shows that the Sparks Walmart and 2 Walmarts in Carson City have it in stock in the store. I bought Heinz Cleaning Vinegar at Wal Mart just last week. Kroger’s in my areas carries it. I have seen both in the baking and cleaning sections of different Kroger’s. I live in Maryland (20736 zip code) and I can’t find it anywhere close. Can it be shipped to a Walmart near me? The Walmart website shows that Landover Hills, Alexandria, and Laurel have it in stock. I don’t think they will ship it anywhere. If it is not in the store, then you can’t get it from Walmart. Roberto, I sent you an email for a location I found. I have added a link in the article to the Walmart Heinz Cleaning Vinegar product page so that everyone can do a zip code search in their area. My Wal-Mart has the cleaning vinegar with the ammonia on the cleaning chemicals aisle. Where I get it in Grapevine Texas? Debbie, I can’t find it in your area. Even the Fort Worth area doesn’t show any. You may need to contact Heinz and see if they know where it is sold in that area. I just picked up some at the walmart on 121 and cheek sparger. You can order it from Amazon, free shipping with prime!! Yeah I saw that but it is much too expensive for me to recommend at this time. I live in Chattanooga TN and I went to all the Walmarts in my area and Ft Oglethorpe GA and I could not find it. We are now taking a vacation to West Palm Beach and decided we would stop at some Walmarts. We did not find it yet. Amazon is outrageous on their price. Have been calling my local Walmarts around Lansing MI and there is none available. Sent an email to Heinz and received no response. The Walmart at 409 N Marketplace Blvd, Lansing, MI 48917 shows that it is in stock. Live in Grand Rapids MI. Walmart has been out of it for 3 weeks & dont know when they will get more. Now what? It shows that the Comstock Park store at 3999 Alpine Ave Nw has it. I live in the Eastern suburbs of Cleveland Ohio. I have purchased Heinz cleaning vinegar at Marc’s, an independent chain in Ohio. In the store it is located along side the other vinegars, near the salad dressings and related items. It currently sells for $2.99 a gallon. The Marc’s stores are all through Ohio. I would suggest anyone still looking for it and in the other 49 states to contact the food brokers in your area. Look for them in your business to business directory for the area you are inquiring about. You can also Google “food brokers” and name the city you are searching for. Good luck all. I use it in the carpet cleaner instead of the soap sold for that purpose. Does a great job of keeping carpet clean, no soap residue, and vinegar is a natural disinfectant. The Walmart in Alliance, OH carries it for between $3 and $4 dollars. It is the Heinz one. Looking for a simple answer … What is the PH of 5% and what is the PH of 6%…? Do I dilute it to cook with it!? Heinz does state on their website that it can be used for cooking. By my calculations, you would dilute each cup of Heinz Cleaning Vinegar with 3 Tablespoons of water to get it down to a level similar to plain cooking vinegar. Hi Jeff, I note that Heinz has retired (both on its website and on the bottle) the position that its cleaning vinegar is food-safe. I just checked this and in the FAQ they still state that Heinz Cleaning Vinegar is safe for consumption. You can order it online from Walmart. I ordered 4 gallons for me and some friends and I paid under 20.00 for all 4 gallons. I was ordering some other things, so the shipping was free. That is big news! They wouldn’t ship it when I checked a few months ago. I will update the post to reflect this new information. I found mine at Safeway a few weeks ago but it is still on the shelves today. You can always talk to the stocking manager at whatever store you regularly shop at to see if they will order it for you. Is it really worth the extra $ when I can get a gallon of generic vinegar for $1.29? I would say that when used full-strength, such as in homemade shower cleaner, then it is worth the money. This is because you need the extra acidity to cut soap scum. If you are diluting it to mop the floor, you might just use generic vinegar mixed a little stronger. Heinz recommends one-half cup Heinz Cleaning Vinegar and one gallon of water to clean tile or linoleum. That seems to be the standard dilution they recommend for general cleaning. This dilution should be safe for cabinets. I would not use it full-strength on cabinets. I just bought Heinz cleaning vinegar through the WalMart app. It is 6% acidity, which makes it 20% stronger than the 5% acidity in regular white vinegar. It is wonderful on commode stains. I paid $3.44 a gallon. Download the Walmart app on your phone. It is the greatest thing ever. If you order $35.00 worth of non-perishables, shipping is free. Arrives on your doorstep in 2 days, usually by FedEx or UPS. I have not stepped in a Walmart since February 2017. Heinz cleaning vinegar works great in removing hard water stains from vintage soda bottles before I sell them on eBay. I just pour it into a bottle, let it sit two to three days, hit it with a bottle brush and the stains are gone. I would never cook with this stuff, though. But it’s great for cleaning (hence the name). I just bought some at Home Depot in Clinton, Iowa today July 20, 2018. I found it at Kroger’s Ohio in both the baking and cleaning sections of different locations.